Featured by USA TODAY with the largest selection of craft-import brews north of New York City! Our Wine & Beer Cellar was made from pine trees on our property that were hit by lighting and then milled and hand-built by the family. 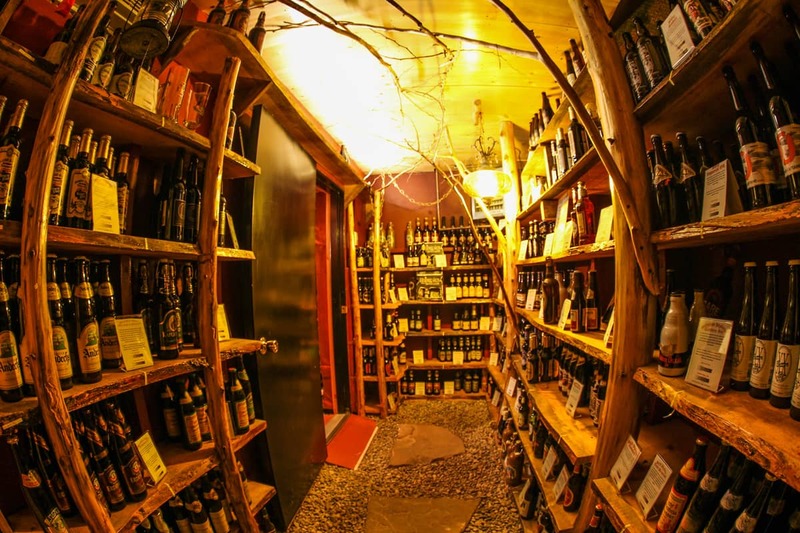 It has the largest selection of craft import styles in the Adirondacks! 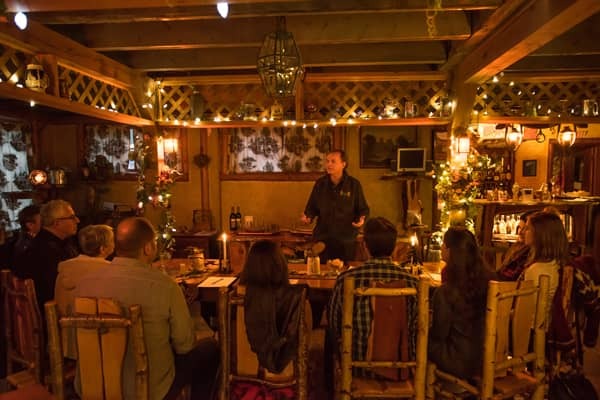 Tour the Cellar & pick out your own! Or ask one of our knowledge staff to assist you. As part of our Old World Kitchen: pick anything you like from the Cellar and save! Overwhelmed?! We are too, so on each style card there are 2 simple charts for light to dark and for smooth to bitter. These are Ernest's tasting opinions so beware! Each style also has its own tent card with brief description. Join the Ein Stein Beer Club! It's free: Sign up and become a member to get our newsletter and discounts. It's real time, online, and can be delivered to your home! 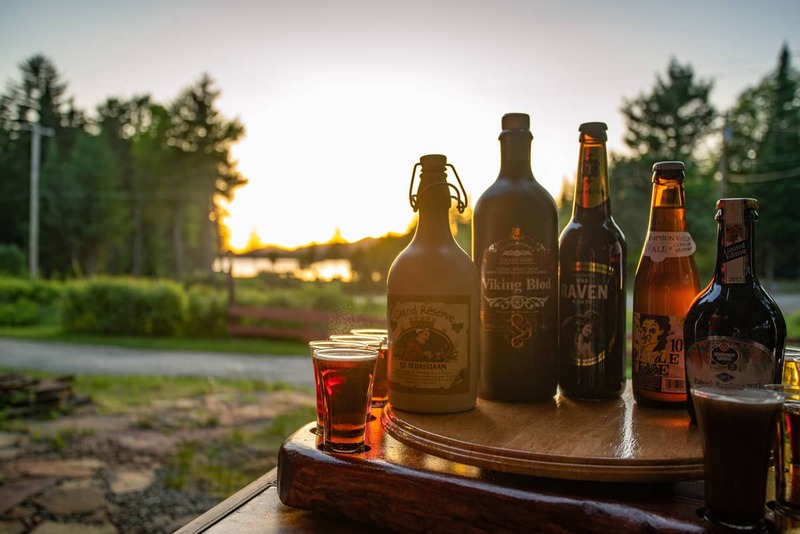 Get your own beer locker with personal stein when you visit the Lake Clear Lodge and the Fireside Rathskeller with hand-crafted Wine & Beer Cellar. You will also have your own personal list of the beers you sample. As you sample, you become eligible for discounts and prizes. The more you taste, the bigger the reward! While you are here, take home a "Build Your Own" 4 pack! Can't get here? If you're in New York State, we can ship to you! A Specialty 4 pack each month. Each month has a different theme. A Specialty 4 pack each quarter. Each quarter has a different theme. Join Ernest Hohmeyer for an experience about the history of beer, replete with a tasting of 6 beers through the centuries and around the world. Check out our special getaway packages, all about beer! Discover our USA TODAY featured beer cellar and explore local breweries.